The benefit of controlling a modern state is less the power to persecute the innocent, more the power to protect the guilty. A number of folks have asked that I post pictures of my cabin construction project. 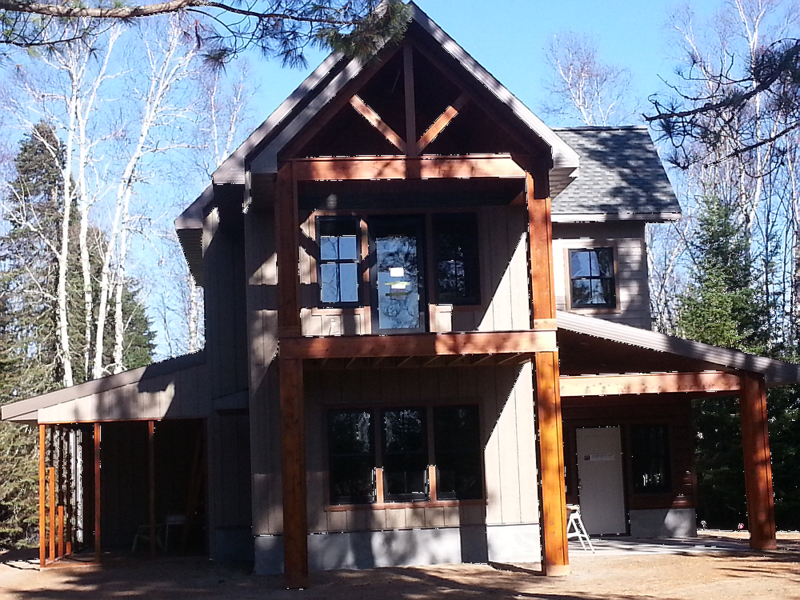 The project actually consists of two separate activities: a large garage (started last fall) and a two-story cabin. I will start posting photos here as things progress. 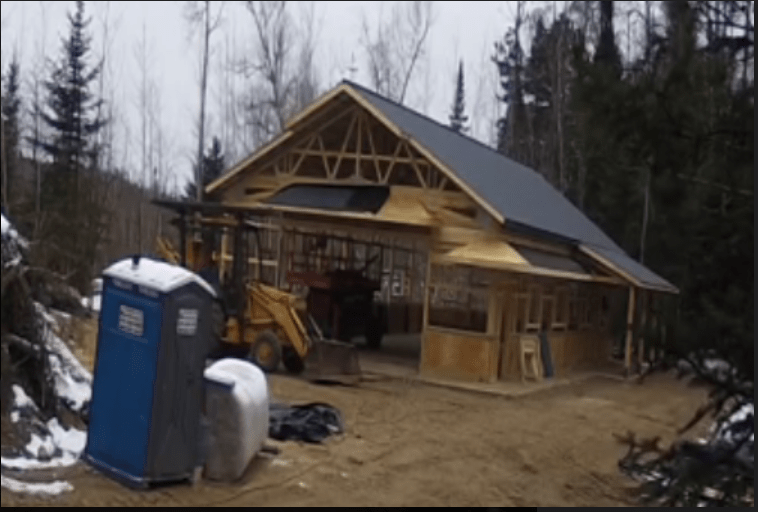 The process really began in earnest with the demolition of the old hunting shack that was built in the 1930s. 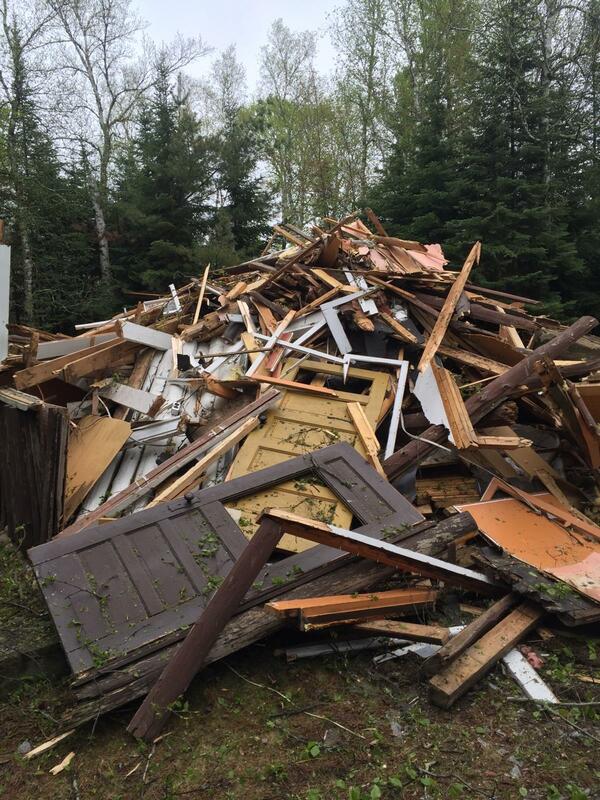 Figure 1: Old Cabin Demolition. The garage is a 30'x60' Morton building. All the garage photos were taken from tree-mounted remote camera. The garage has a storage area, office, and wood shop. I will take more pictures this weekend. The garage contains three rooms: (1) an office with bathroom and shower, (2) a woodshop, and (3) a boat storage area. You can see the framing in Figure 5. HVAC installation is in progress. Electrical wiring and plumbing will follow. 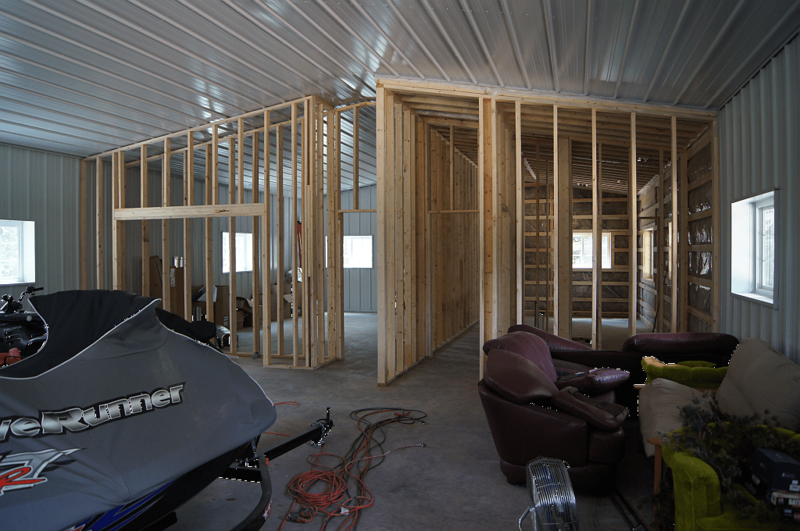 Figure 5: Garage Internal Framing. The house is ~2000 square feet and will be my retirement home. Figure 6: Cabin From Driveway. 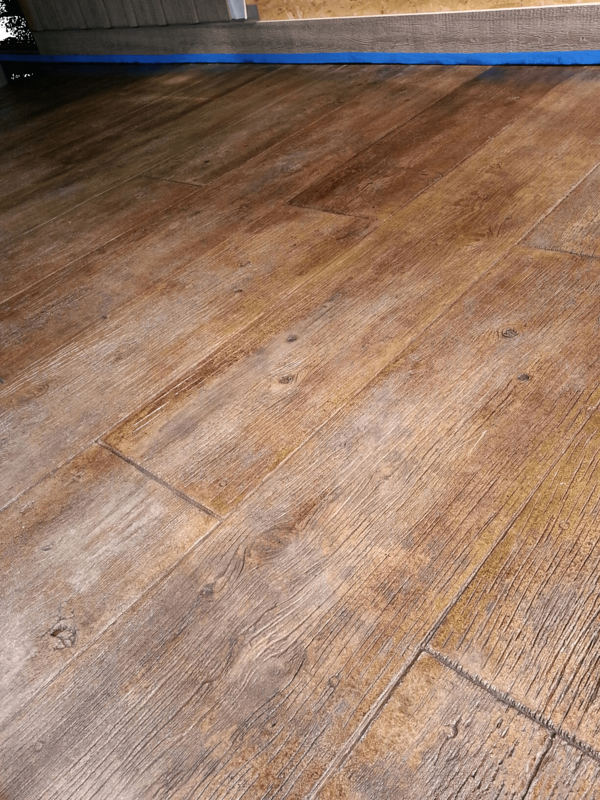 Figure 7: Stamped, Stained, Concrete Patio. Figure 8: Southern Exposure of Cabin. 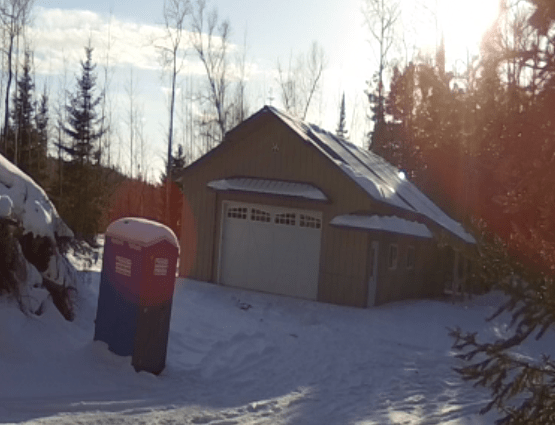 Figure 9: Garage and Septic Field from Driveway. This entry was posted in Construction, Personal. Bookmark the permalink. Do you require planning consent for your house and is it necessary to submit drawings and calculations to demonstrate compliance with building regulations? There are documentation requirements that depend on the type of building you are constructing. The garage documentation requirements are minimal, which means pay for a building permit (~$30). 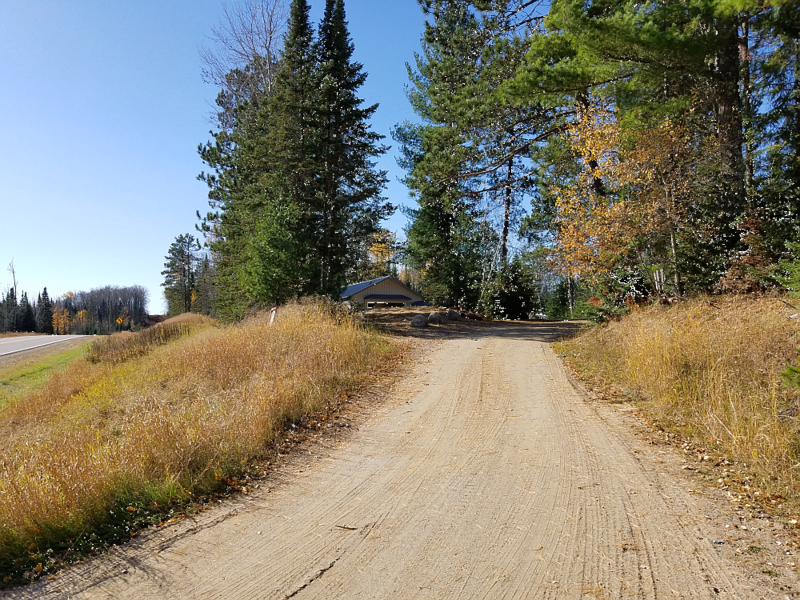 The house required a design document and soil test for the septic system to ensure that it will not cause issues with any local groundwater ($200). To obtain a building permit, I needed to provide documentation that proved my lake home and garage would not be too close to the lake (i.e. 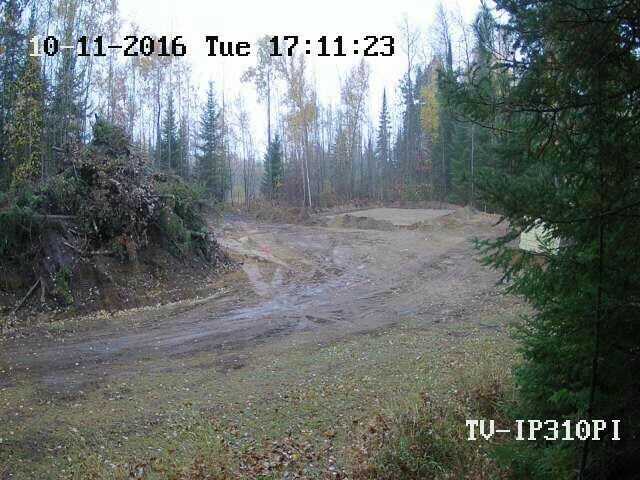 less than 100 feet) or any local roads (110 feet) – I hired a surveyor to do this ($600). All homes must conform to the building code and there are required inspections at various points in the building process. That is about it. Remember that my home is in a very remote area where building requirements are minimal. Looks nice. You will love the in-floor heating - we put an addition on our house (in Ham Lake) about 10 years ago with in-floor heat and we love it. The place is scheduled to be done in October. So I should be able to try the heating system out soon! WOW - I'm so jealous! Looks lovely. I especially like the concrete patio and the "man-cave"
I have been saving to build this site for 20 years. The funny thing is that I do not hunt, fish, or boat – I am the last person who should own a cabin. I am doing this for my kids. My hope is to leave them a nice place for their families. Me -- I just need a computer, an internet connection, and a kitchen table to work at. The garage photos are actually two months behind. I have just finished the wiring and the air conditioning/heating is in. Next milestone is drywall. All must be done before winter hits. I am looking forward to have chance to visit your new house in some time. My construction work is focused on the garage, which includes living space. 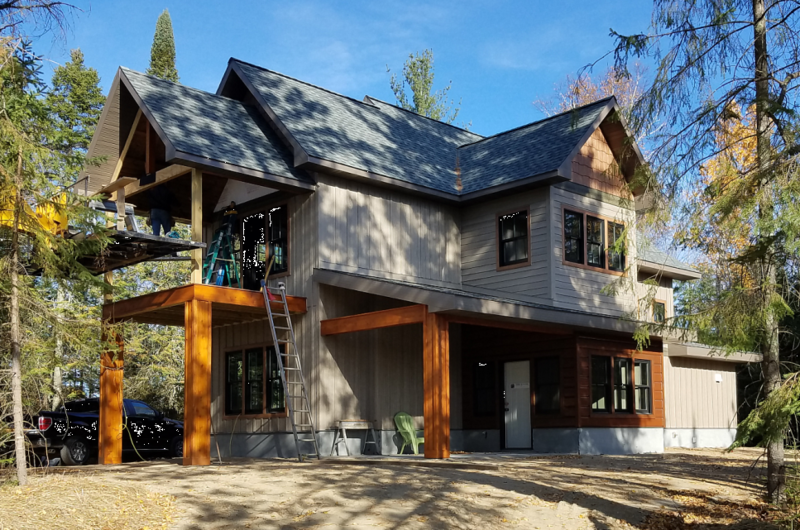 The home is being built by a first-rate carpenter named Mark Utecht. You can see his work at this site. I could not be happier with his work.